If your foundation is cracked or your basement walls are pushed, you’re not alone. This is Western Pennsylvania! At D-Bug Waterproofing, we’ve been serving home owners in Westmoreland County and throughout the Pittsburgh region for over 79 years. We’ve seen it all. 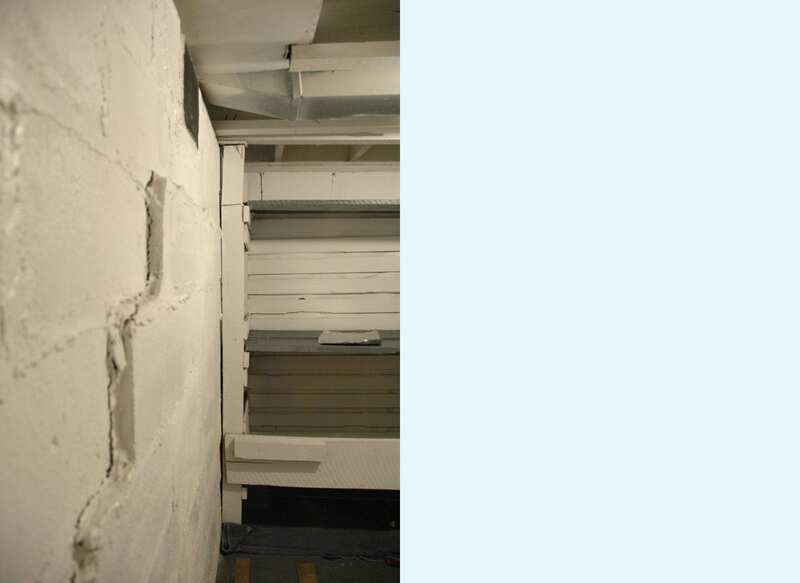 Though the problem of damaged basement walls is common, it should not be ignored. Cracked, pushed, and bowed walls reduce the value of your home. Why? In addition to the unsightly damage, cracked and pushed walls are a pathway for water, moisture that will eventually cause mold, flood your basement, or both! WHY DO WALLS CRACK AND PUSH? There are many natural forces that stress your foundation and basement walls. 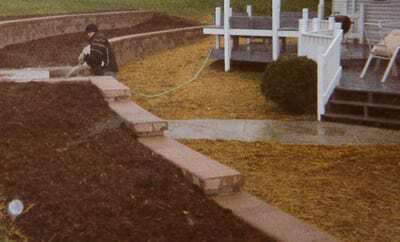 Incorrect back filling or faulty surface grading around your foundation. The Pittsburgh area’s often severe freeze and thaw cycle. Swelling in clay filled soil. The sinking of a concrete porch. Water rotting the hollow block foundations where the block touches the footer. Don’t worry. At D-Bug Waterproofing, we have technologies to address each situation, creating a sound foundation that maintains the future value of your home. At D-Bug, our wall anchoring system is engineered for strength that is superior to the typical, square plate anchoring system commonly in use. 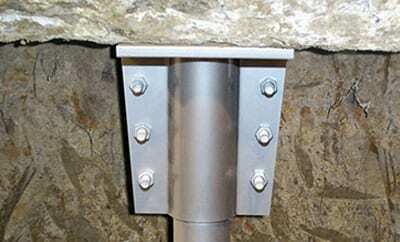 D-Bug can replace foundation walls that have collapsed or are extremely pushed. This process involves jacking up and supporting the house while repairs are made. D-Bug builds concrete retaining walls for foundations that are pushed beyond the point of using wall anchors. In these extreme cases the bottom row of block is pushed off the footer and require rebuilding the wall. Supporting pushed foundations with I beams involves jackhammering a hole in the basement floor, placing the I-beam under the basement floor and extending it up the wall and into the floor joists. Purging is when you trowel or apply a layer of mortar, sand and port-land, or B bond onto the foundation wall. Sealing a wall consists of cleaning the wall with a power sprayer and/or cleaning solvent before any type of sealer may be used. D-Bug Waterproofing uses Pier-Tech Foundation Repair, the authority for helical piers, piles, and anchors. Pier-Tech provides the highest quality product, the strongest materials and a permanent solution to your foundation problems. What Else Can D-Bug Do in and Around Your Basement? 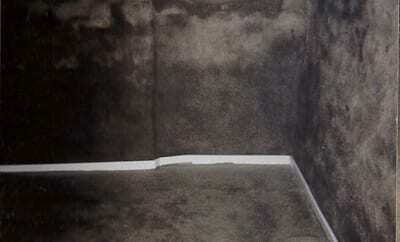 Painting and Repointing | D-Bug paints foundation walls whatever color the customers select. Both interior and/or exterior walls may be painted. Basement Entry Ways | D-Bug can create a basement entrance way in houses that were not originally built with an exterior basement entrance. Bilco Doors | D-Bug installs Bilco or Gordan doors for basement entrances. There are a variety of sizes available. Let us replace your old, rusty doors and install a new Bilco door. Complete Basement Refinishing | D-Bug takes your basement from drab and dingy to a beautifully remodeled and refinished family or entertainment room. When you need our help, don’t hesitate! Call us today at 1-855-381-1528, or request a quote with the form below. At D-Bug Waterproofing, we look forward to serving you and your family. We get it done, and we get it done fast. For a free evaluation and quote, call us at 1-855-381-1528, or complete our Get a Quote form below.